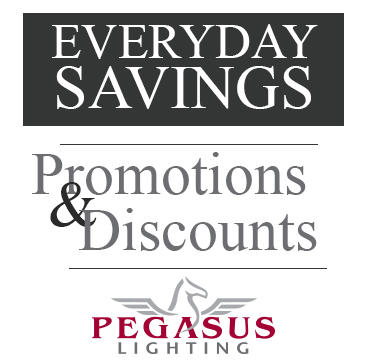 The latest news and updates about Pegasus Lighting. We are pleased to announce that Pegasus Lighting was recently selected to join the Google Trusted stores program. To help shoppers identify online merchants that offer a great shopping experience, the Google Trusted Store badge is awarded to e-commerce sites that demonstrate a track record of on-time shipping and excellent customer service. When visiting the PegasusLighting.com website, shoppers will see a Google Trusted Store badge and can click on it for more information. May 2016 marks Pegasus Lighting’s 17th year online. Like any developing 17-year-old, we have spent our “teenage years” testing the waters, figuring out who we are as a company and determining where we will make our future. Treat everyone fairly and with respect. Our goal at Pegasus Lighting has always been to offer lighting information to our readers that is helpful, informative and inspiring. Sometimes we nail it, sometimes we don’t. Before diving full-speed into 2016 we like to step back and reflect on our work over the past 12 months. While measuring the success of the blog is hardly an exact science, with a few simple metrics we’re able to come up with a list of the 5 most popular blog posts of 2015. Your garage might be your lair, your storage room, a place to park your car, or all three. Whichever the case, this Ultimate Guide to Garage Lighting shares some ideas that will help you define the space, and provides lighting product suggestions for each one. Read more. Did you know that dryer sheets and clear bags of water are known to repel insects? This blog post reveals a handful of pretty cool (and surprising) ways to deter pests. Read more. Last summer we launched our Weekend Warrior series which consisted of lighting projects that can be conquered in one weekend or less. In this popular post, our President and CEO Chris Johnson shares how he added LED recessed lighting to his bonus room. Read more. There are almost endless creative projects to make with string lights, and in this blog post I rounded up 27 of the most memorable applications I’ve seen. Read more. 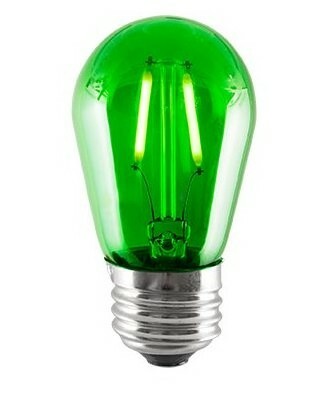 Our most popular blog post rallied views in October, when one of the nation’s largest mega-retailers launched a campaign that involved switching out one light in your home with a green light bulb. Read more. 2015 was a year chock full of big changes at Pegasus Lighting and we bid adieu to this landmark year with a proud sense of accomplishment and anticipation at what lies ahead in 2016. As always, a big THANK YOU goes out to all of our readers and loyal customers who read and share our content. What do you want to see on the Pegasus Lighting blog in 2016?